Would you like you shop inventory to include a delightful item that reflects the rich fishing history of the UK? If you would, then call the team at SDL Imports today on 01202 291 122 and order yours now. 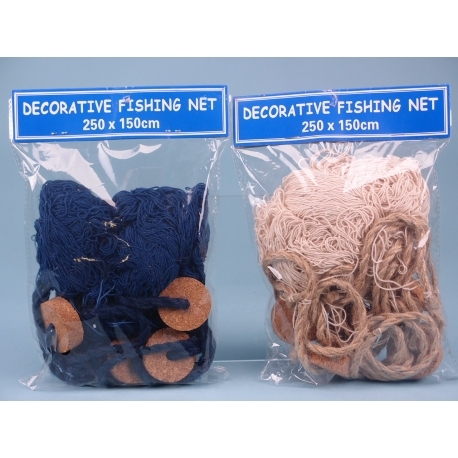 These fishing nets are in two very different and distinctive styles, which can also be used in tandem to contrast each other and create a wonderful display. Each net measures 250 cm by 150 cm, and included novelty floats for that authentic look. 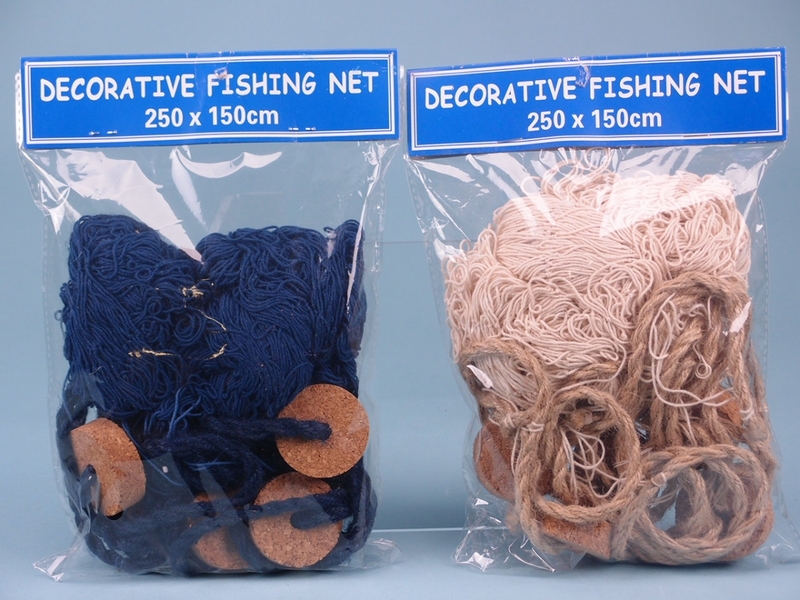 One style is a navy blue colour with corn discs for the floats, and the other is a traditional finishing rope and thread design with cork discs as floats. Each design is very dynamic and will look fantastic as a part of a larger decorative scheme or as a standalone wall decoration.